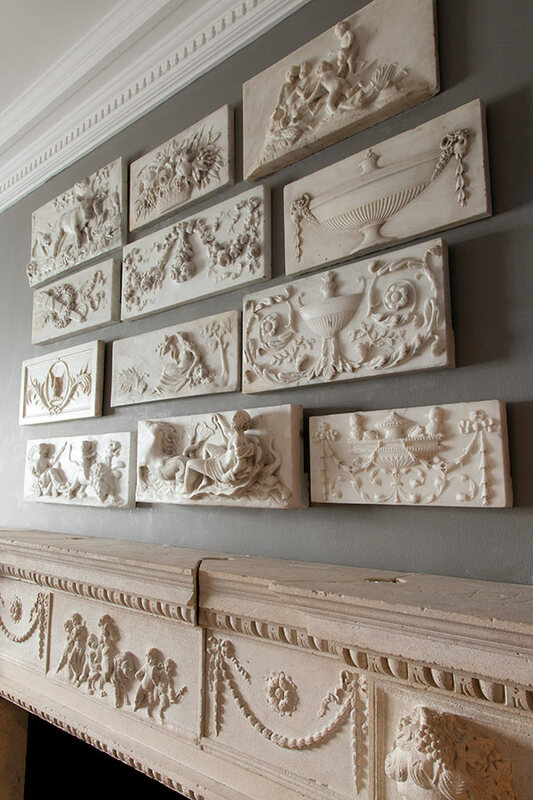 A collection of 12 antique Georgian marble fireplace or chimneypiece centre tablets, dating from the 18th and 19th centuries. 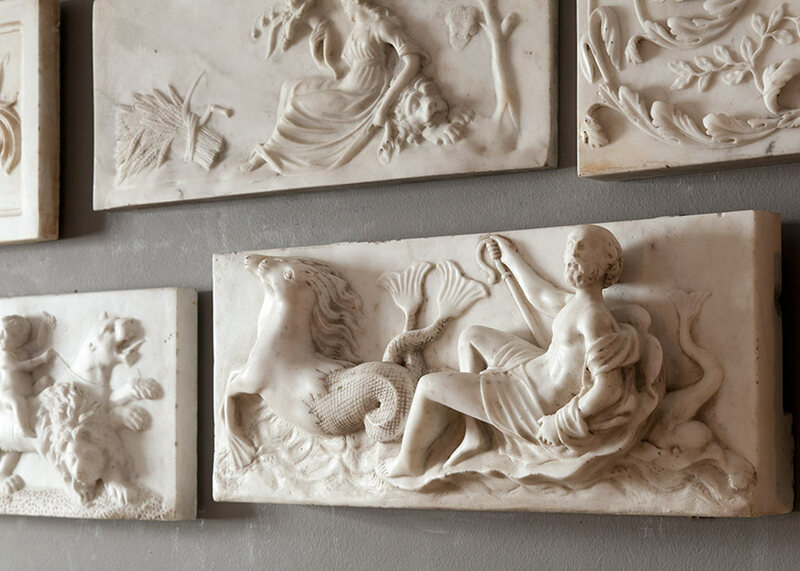 All Neo-classical in style and depicting classical scenes or classical ornament, a combination of both English and Irish. 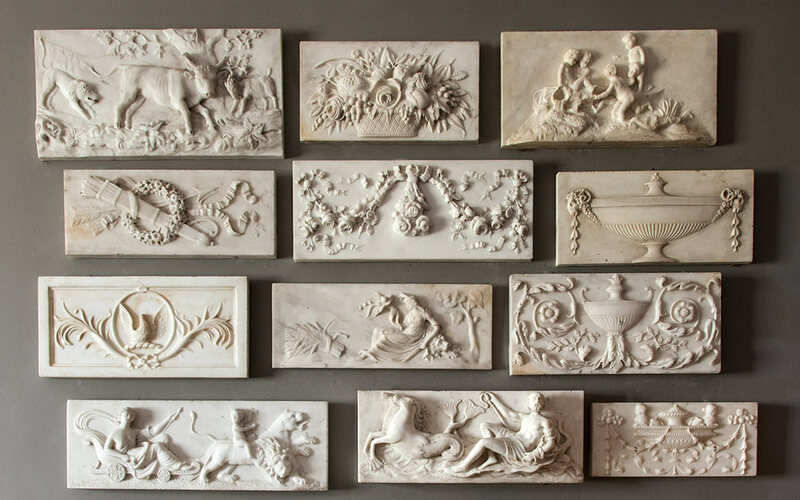 Each tablet is a work of art, beautifully carved in white Italian statuary marble. It is rare to find even one Georgian fireplace tablet these days. 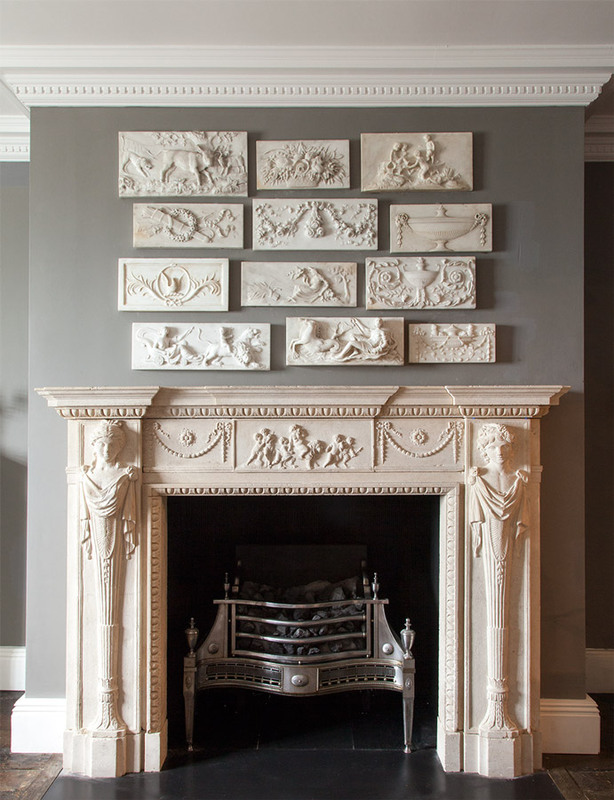 This collection has been built up over a period of many years by Ryan & Smith.